Born from the point where the Allegheny and Monongahela Rivers meet and the whitefish breed, Black Moth Super Rainbow are back after their nine-track 2016 release, Seefu Lilac, and are gracing us with the moody DIY electronica that has become a staple of their discography. BMSR have always been the calmer and rounded counterpart to Tobacco’s sharper solo work, and their latest venture into distortion is Panic Blooms, a 16-track album that in more ways than one is a continuation of BMSR’s previous works. 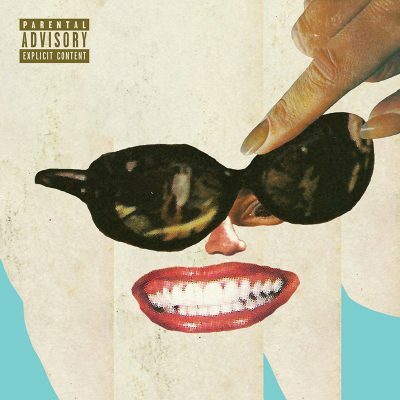 That being said, sounding like a continuation is not a bad thing, as BMSR have always maintained a consistency in their distinct style that imparts each album a uniqueness to never goes stale or sounds repetitive. Black Moth Super Rainbow nail this album perfectly in the middle with beautiful “Bottomless Face.” Its swelling synth reels you in as the distorted vocals keep your ear involved and the lyrics melt in and out, accompanied by gentle percussion and a leading synth riff that builds toward the end. This track was an easy favorite. The album throws in a few interlude tracks like “To the Beat of a Creeper,” which break up the album with instrumentals and by incorporating some acoustic guitar with added effect. These interludes seem to creep in between songs and add an eerie atmosphere to an otherwise upbeat and calm album.